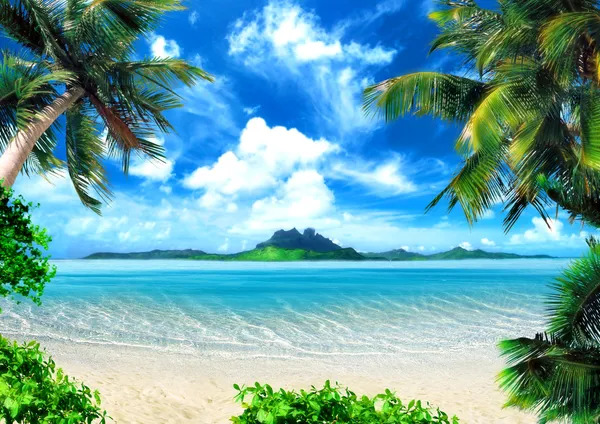 Tropical coast, beach with hang palm trees. View of the Sea, the island green and the sky with large clouds. Magical lighting.